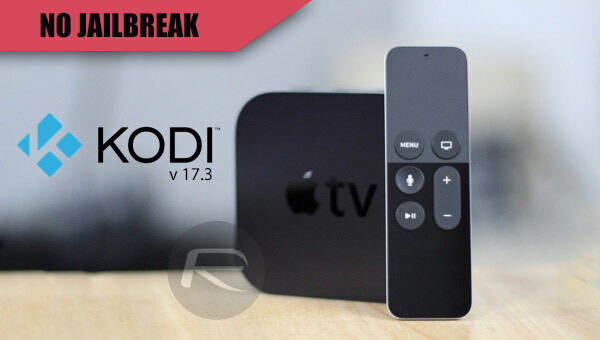 Here’s how to download and install Kodi 17.3 IPA or DEB file on tvOS-powered Apple TV with no jailbreak required. The latest version of Kodi contains everything that you need to get a secure and seamless experience on Apple TV. We’re also going to take a look at the different installation routes available to get it onto your Apple TV. Ready? Lets get started. Kodi 17.3 may not represent an entire overhaul of the Kodi platform, but it is a great foundation to finish off the Kodi 17 Krypton as we head into everything that the next major version 18 will bring. 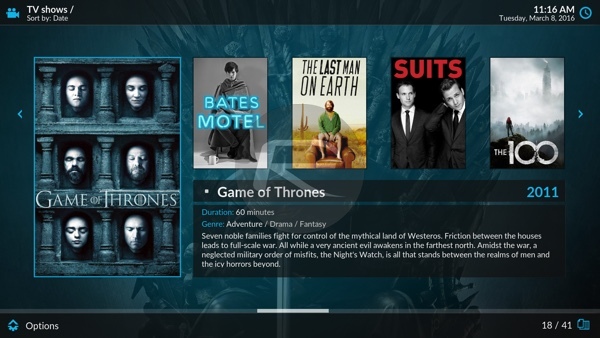 In that respect, it’s a very accomplished security release and also bundles in a few critical fixes to patch a number of annoying issues which were being experienced by users on an earlier version of Kodi 17 Krypton. It won’t necessarily apply to anyone looking to install this version of Apple TV, but version 17.3 does include a fix relating specifically to those using Ubuntu 14.04 meaning that the packaging issue which was being experienced in v17.2 is now solved. Of course, there are also additional improvements and fixes, including a fix for subtitles issue that would otherwise allow hackers to take over device remotely, which should make 17.3 a very reliable and stable version of the platform. If you believe that Kodi 17.3 is definitely where it’s at for you and your tvOS-powered Apple TV, and you want to go through the process of getting it installed, then you have come to the right place. As is generally the case with these types of installations, there are a couple of ways that you can actually get the Kodi 17.3 experience on your Apple TV. If you want to go through the installation process using the Kodi 17.3 IPA file, then you can grab the IPA from here and then follow the installation process as outlined here: Sideload iOS Apps On Windows, Mac With Cydia Impactor Without Jailbreak, Here’s How. If you much prefer to deal with Debian packages, and as such, want to install Kodi directly to your fourth-generation Apple TV using the Kodi 17.3 DEB file, then you can grab the required file from here, and then follow the installation process through here: How To Sideload / Install Kodi On Apple TV 4. If you already have older version of Kodi installed and want to just update to version 17.3 without losing any of your existing add-ons and settings, make sure you first read our update guide for Apple TV here. Whichever route you choose, you’re guaranteed to have the cutting-edge latest Kodi 17.3 experience with all relevant security patches and fixes. I don’t get it…if you can use either Impactor or XCode why not use Impactor? I’ve done both and Impactor is a million times easier. Am I missing something? There is no cheapest way, you either get the free account which makes you reinstall every 7 days, or the paid account ($99 a year) which makes you reinstall every year. If you use Cydia Impactor and keep that app and the Kodi IPA together in the same folder, then it takes really only about 5 minutes to reinstall.